The budding domestic goddess/amazing wife I am, on Sunday I left my husband in my beautiful warm bed. This was a massive effort for me, because I love my bed. Sleep is up there on my top ten favourite things to do. I mean, if I could hibernate, I would. So anyway, I got out of bed, and went into the kitchen. I scratched my head and thought of what I could make him. 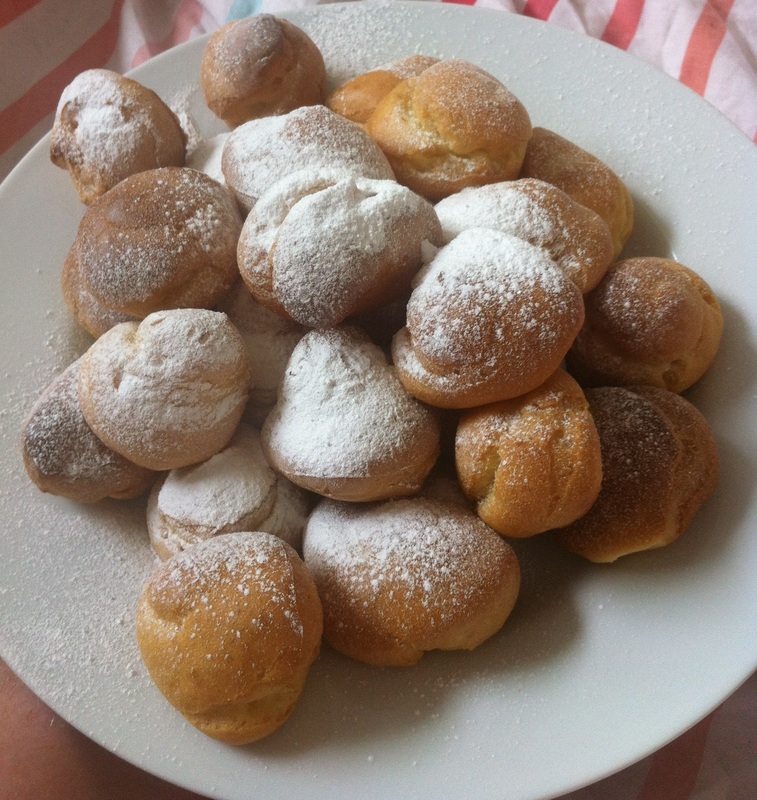 Then, inspired by Rachel Khoo’s fabulous Little Paris Kitchen, I thought of choux buns. Let me explain, I have tried choux pastry before, but it seemed like an awful lot of effort – all that beating – phew!